How do I share documents in the lesson space? How can I improve my internet connection? Will firewalls stop me using the lesson space? Do I need a headset with a microphone? You can run the online lesson space directly from your laptop, desktop or tablet. If you are using a tablet please see the instructions on how to download the app. Here is a checklist to ensure that you are ready for your first session. Please note: using apple earphones on a Mac may cause an echo. We recommend using a wired connection if possible. Guidance - >2MB/s upload and download speed. FAQ: How can I improve my internet connection? Use Google Chrome or Safari as your browser. If you are on a Mac, please use Safari. Our lesson space is not compatible with Edge or Internet Explorer on any devices. This is not essential, but will mean the best interaction possible with your tutor. The webcam is compulsory for all tutors. 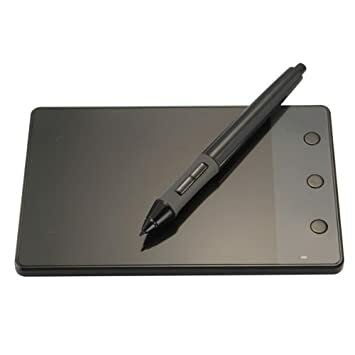 Although we do not recommend a specific tablet, our tutors mainly use one of two Huion tablets as they have found they are particularly good value. The compact Huion H420 tablet can be purchased online from here, here or here. The larger brother, Huion 580 tablet can be purchased here. Both tablets support Windows and Mac.